Witchcraft, like the ever-looming threat of gentrification, is steadily on the rise. With over 56,000 Brits and 0.3 per cent of Americans now reportedly identifying as pagan, the once deadly practise has become a very viable way of life – with more people tapping into the power of elements every day. Their first project in this mission is the city’s spiralling rate of gentrification. According to a group Facebook event, the performance collective are hoping to draw attention to inaffordable housing, proposed tax hikes, and predatory renting practices within the Chicago area – casting a hex on those who profit from it, and a protective spell on those who suffer from it. We caught up with the trio to hear more. Can you talk me through the hex you’re planning to cast? What does the ritual consist of? 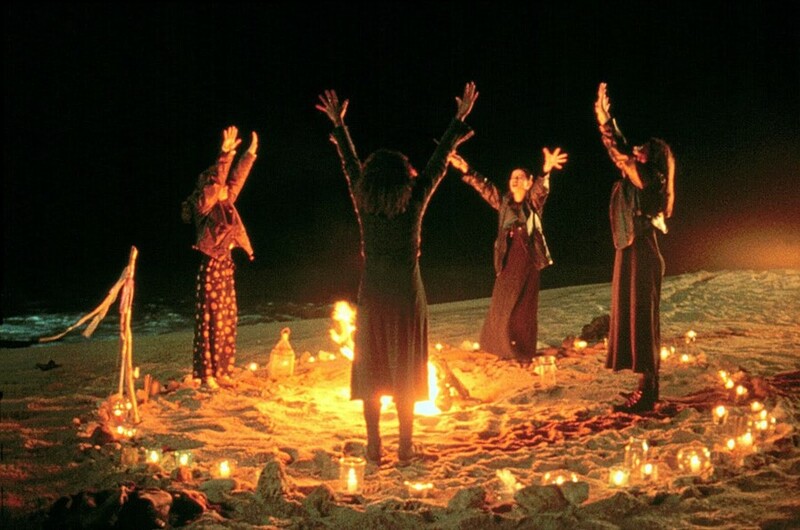 WITCH: The ritual will consist of an “hex”, which focuses on bringing attention to the politicians and companies that are profiting from housing development at the expense of working class people. During the action people will be invited to speak out about their experience with housing insecurity, the impact of high rents, and speculative development on their lives. We will them perform a protective charm that acknowledges the people and organizations that have been working on these issues for decades, including the Logan Square Neighborhood Association and the Grassroots Illinois Action. WITCH: The ideal outcome is for people to come together and listen to each other and support each other in facing the housing situation in Chicago, and hopefully come away with a sense of agency. We will also be distributing information about organizations that have been working on housing rights issues around the city. Have any of you done any protests like this before? WITCH: Although WITCH is a new venture for us, we all have been involved in social justice work for decades around poverty, gender and reproductive rights, health and prison abolition. What made you want to focus on gentrification? How has it been negatively affecting Chicago? WITCH: We have all been impacted by housing speculation and insecurity, and our personal experiences all vary. Two of us are immigrants and single mothers who had to move with our kids several times in the city because we could not afford rent. Some of us have lived in apartments without working heating, or in situations where our quality of life (and our children's) was negatively impacted. All of us have felt trapped by not having any viable options for a living situation that felt dignified or stable. We also know that this experience is widespread in Chicago (and profoundly connected with institutional and systemic racism), as the city fails to hold slumlords accountable. What has the response been like since you announced the project? Supportive, or more mixed? WITCH: The issue of housing is tied to issues of class, race, xenophobia and the long history of discrimination in Chicago. It is a sore spot for most people that will elicit strong reactions. We are glad that people are talking about it, and we hope it can be a productive conversation. Are there any other areas you’d like to work this spell? WITCH: The whole city is affected by housing insecurity and speculation in different ways. We will continue to address social justice issues in our work.